This morning’s email brought the following missive from Chip Yates, known for his high-speed attacks on Pikes Peak, the Bonneville Salt Flats and the skies above China Lake, California. 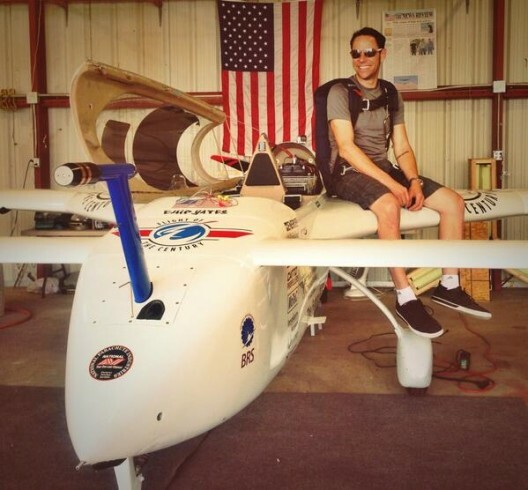 Chip’s normal enthusiasm may have shortened the battery life on this Long-ESA (Electric Speed and Distance) record-setting aircraft, since his pushing the pack’s limit in all three motorcycle and aircraft record attempts probably pushed the envelope a bit too far. 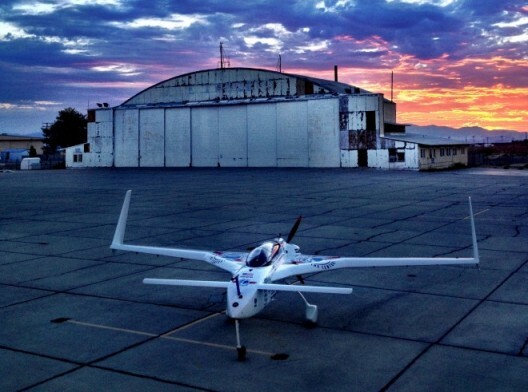 Jason Paur, reporting in Wired magazine’s “Autopia” section, explains, “During his record-setting flight last July, Yates managed to be the first pilot to top 200 mph in an electric airplane. But he fried the battery in the process. It was an old battery, and Yates told us last year he knew its death was a likely outcome of pushing the lever that far forward for the fast flight. In fact, Yates needed only 41 percent of the pack’s potential to cruise at 175 miles per hour over Inyokern. He’s tempered his approach after the untimely landing during last year’s record speed run, starting the 450 Volt pack to 416.8 Volts for the early flights. He never pushed things past 53 percent, turning the motor at 4,909 rpm, and the geared propeller at about 2,450 rpm. Craig Catto, famous for providing thrust for everything from Reno air racers to ultralights, crafted a carbon fiber three-bladed unit that can operate at maximum efficiency at 3,100 RPM, which should give Chip 250 mph. The recent test flight reached at low 2,500 RPM and used only 211 of the 600 Amps available.